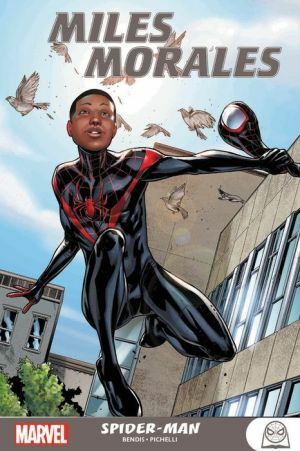 When Peter Parker falls, the world needs a Spider-Man - and young Miles Morales takes up the mantle! Before Peter died, Miles was poised to start the next chapter in his life in a new school. Then, a spider's bite granted the teenager incredible arachnid-like powers. Now, Miles has been thrust into a world he doesn't understand, with only gut instinct, his well-intentioned best friend Ganke and a little thing called responsibility as his guides. But what was the story behind the spider that bit him? How is Miles going to get his hands on a cool new costume? And is there any way he can be ready to face the deadly sting of the Scorpion? Find out if Miles Morales can live up to the legacy of Spider-Man!